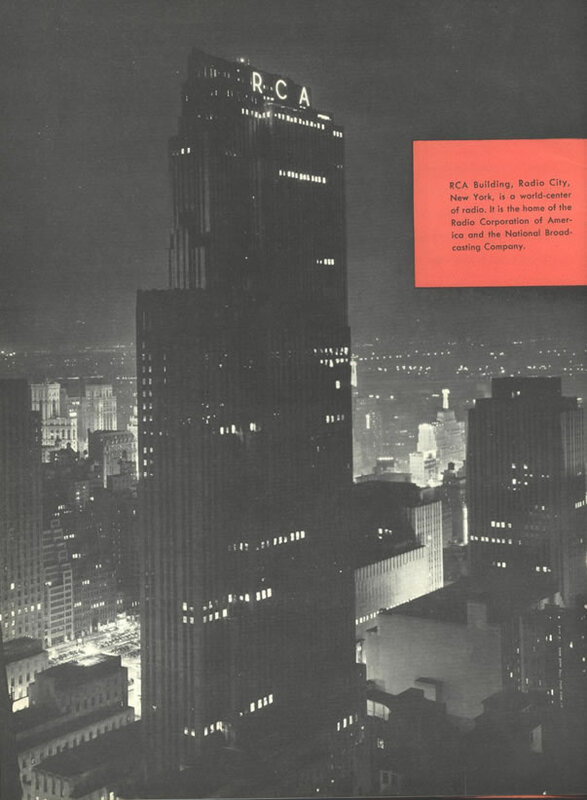 The RCA Building In Radio City, New York at the height of RCA and its network N.B.C.’s power. The following is a series of 30 frames taken from a promotional film called “A Quality Tour” produced by RCA in the late 1950’s. 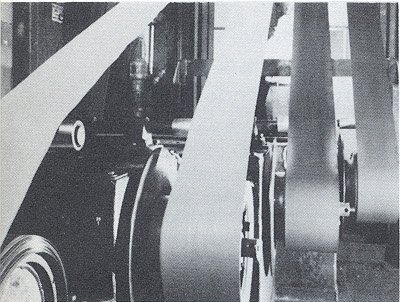 This series emphasized the many elements that go into making a truly high quality tube and was shot at the Harrison, New Jersey tube plant using full-time employees at their stations in the plant. Built in quality for top performance at a reasonable price is RCA’s primary product design objective. To accomplish this from the very beginning, RCA engineers, quality-control specialists, chemists, and physicists combine their knowledge and skills to create top-quality receiving tubes. Right from the start, RCA builds reliability and quality into a tube by using only the very best raw materials. Everything is minutely checked and tested all the way down the line to the finished product. 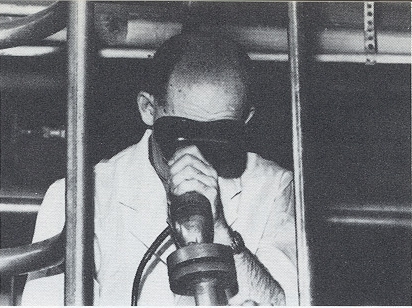 Every material used in a tube is thoroughly tested. Only if it passes very strict inspection will it be used. 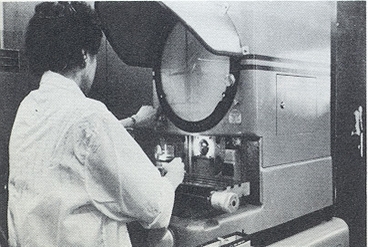 The polarized light of a polarscope (shown here) permits analysis of glass used in tube envelopes. 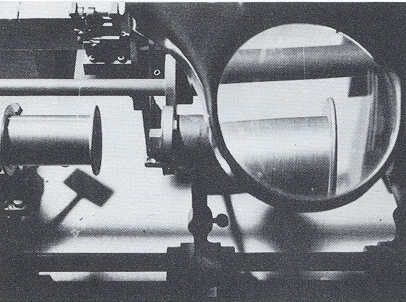 Modern spectrographs are used to analyze and check the composition of materials. 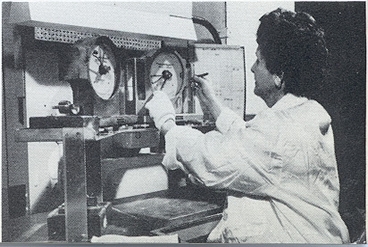 Exact measurements are aimed at determining the kind and quantity of each element contained in the material under study. 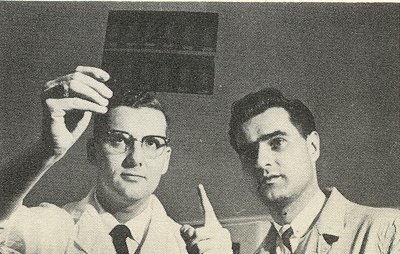 Spectroscopic plates are made, then studied; and results are used for precise control. 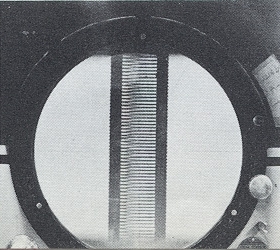 The latest X-ray developments let specialists view the inside of any electron tube. 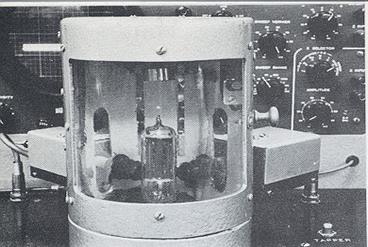 Experience and new techniques combine forces at the RCA Electron Tube Division in a continuing search for improved materials to do an even better job. The purity of materials is also important. 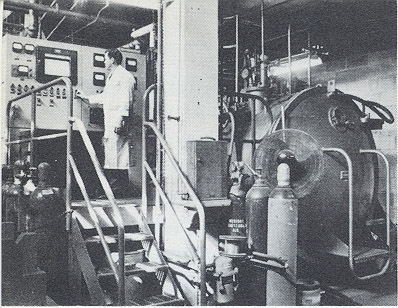 This high vacuum and high temperature melting process is one of RCA’s new additions to the specialized technique of tube making. Temperatures in the heart of this vacuum furnace reach 1500° C.
The advantage of vacuum melting is that purity can be precisely controlled. Just the right amounts of chemical elements can be added to get the exact electrical characteristics needed for a quality tube part. When it comes to plating wire, RCA uses the finest in raw materials. As the wire unwinds, it is carefully inspected. 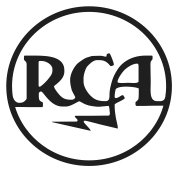 RCA proudly boasts the best tube-making staff and machinery in the world. They’re unmatched in their ability to bring top quality to all parts of a tube – large and small – with care and precision. A specially developed automatic lathe forms grids that are constantly sampled to insure uniformity…..none too large, none too small. The results must be checked and rechecked. 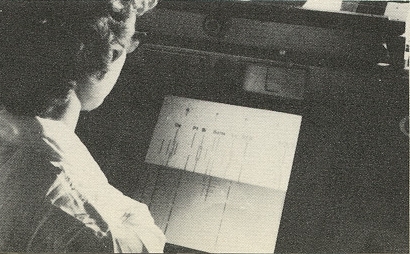 Shadow projections permit accurate inspection and control of uniformity. By studying a close-up of a shadow projection, the wire spacing of a grid can be determined with a high degree of accuracy. 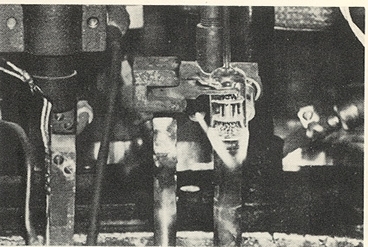 A sprayer automatically coats the precisely correct amount of material in each cathode. 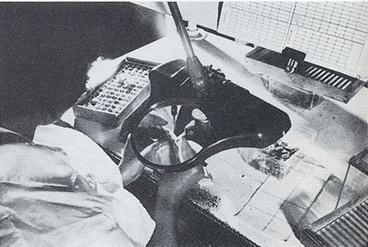 Each batch of cathodes is subjected to many quality control tests performed during all manufacturing stages. 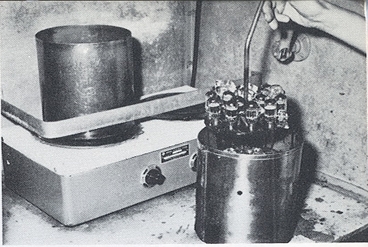 Cathodes are weighed to make certain that just the right amount of spray material is applied. 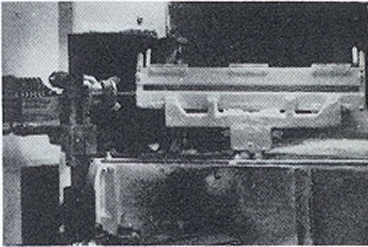 The heart of the miniature receiving tube is put together by an automatic cage maker, developed in RCA’s Harrison, N.J., plant. 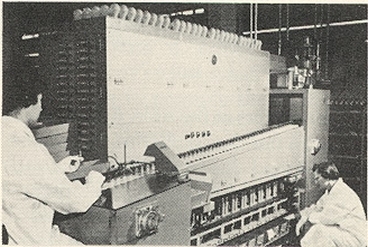 It combines many complex operations for maximum accuracy in assembly. Mica wafers, grids, plates, shields, heater, and stem are all joined here. 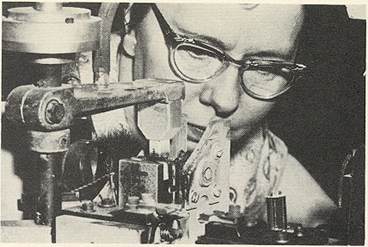 Another inspection procedure takes place at the Sealex machine where glass parts (including stem and bulb attachments) are examined and reexamined. 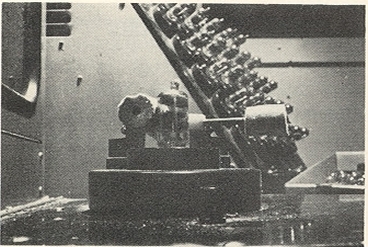 It is at the Sealex machine where the glass assembly and the cage are permanently joined. 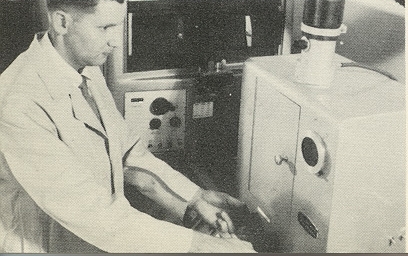 Then the air inside the envelope is evacuated….and each tube is permanently sealed. 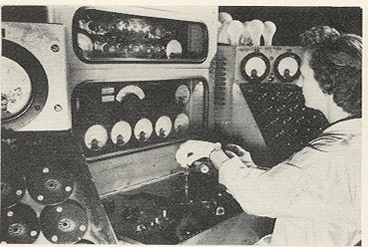 The newly-finished tubes are tested by an RCA developed tube tester that can automatically check up to 2,500 electron tubes an hour. 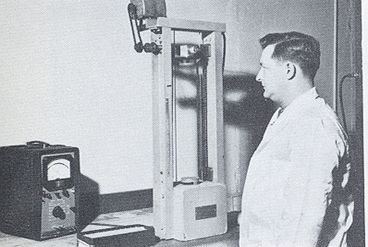 This device pre-heats the tubes and subjects them to many different tests to maintain quality. If a defective tube shows up, it is rejected and destroyed. 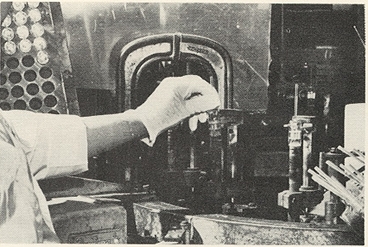 Tubes then go to the Quality Control Department, which tests for glass strength and physical defects. In addition, to prevent fracture during tube life, tubes are tested for top strength and for low level of glass strain. 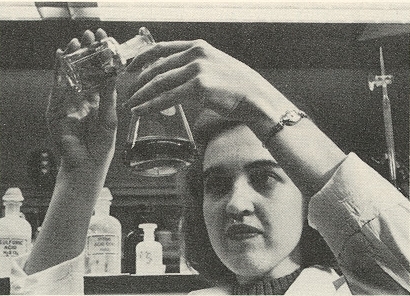 If any discrepancy appears, it is traced back to source and corrected, thereby keeping quality high. 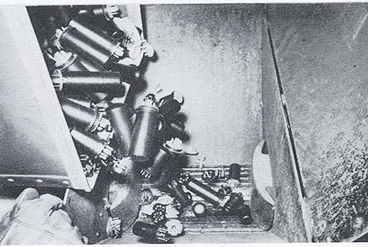 Rejected tubes, of course, are destroyed. Next, new tubes are also tested for shorts. 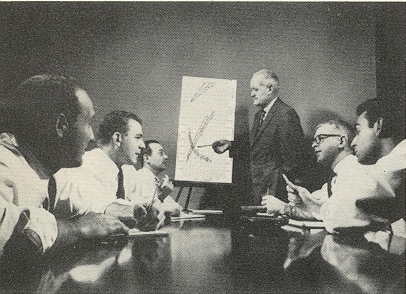 RCA research and precision control continue round the clock for every significant characteristic. 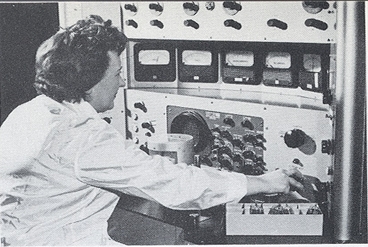 Tubes are also life tested continuously as part of RCA’s intensive study of its own products. 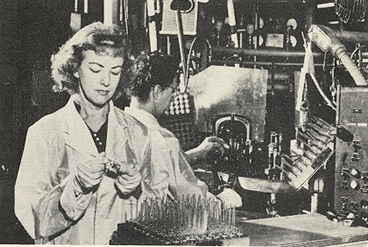 These tests supplement regular quality control checks run on every tube produced. All tube types are rechecked against the highest standards before shipment to a customer. 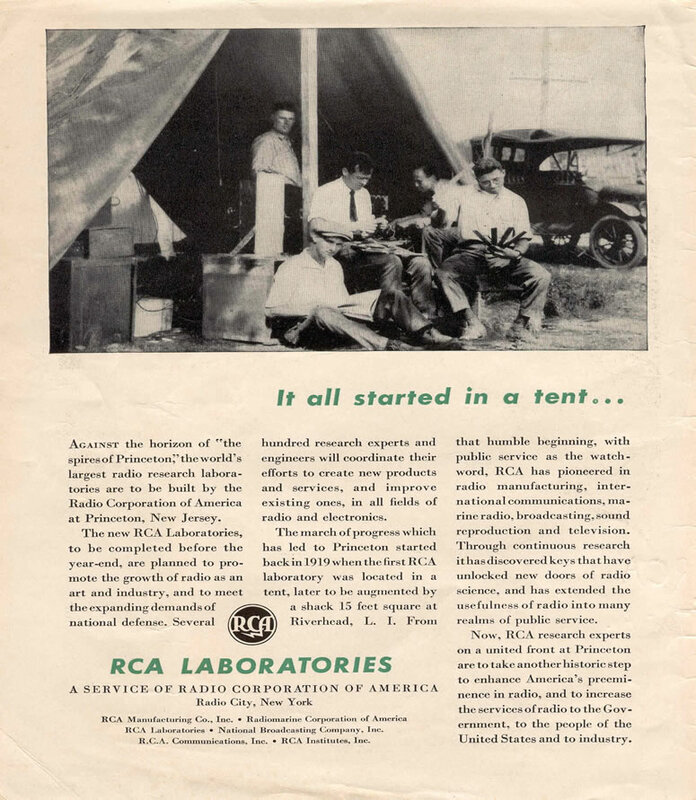 RCA tubes will operate under extreme temperature conditions – from boiling….to ice cold. These tubes can take it. 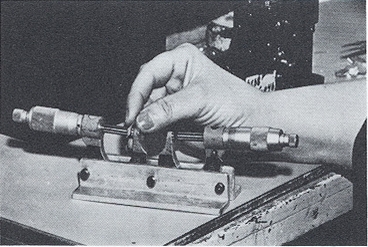 Engineers at the RCA Electron Tube Division affectionately call this the “guillotine drop tester.” A tube is lifted….and dropped. It’s really got to be tough to take that kind of impact – – equal to thousands of times its own weight. Nothing can be left to chance. Even the testing equipment itself is under close surveillance. 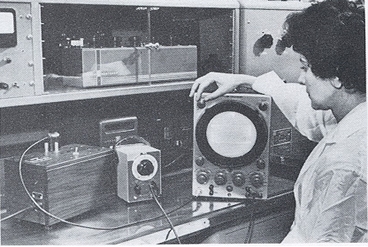 Instruments used in RCA quality tests are kept precisely calibrated. They are checked against strict Government standards. 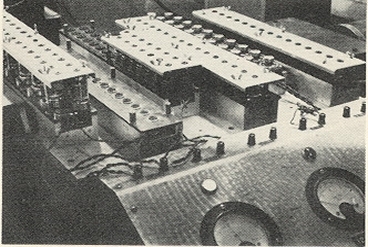 Tubes that don’t meet RCA’s high standards are ground up and thrown out. They’ll never reach any service technician’s shelves to give trouble in a customer’s set. 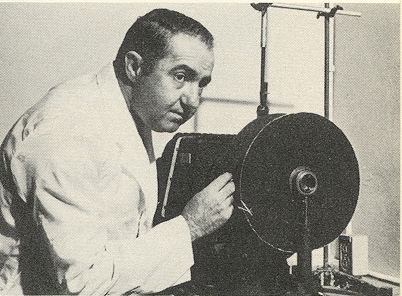 You see, there’s no such thing as a second in RCA receiving tubes.